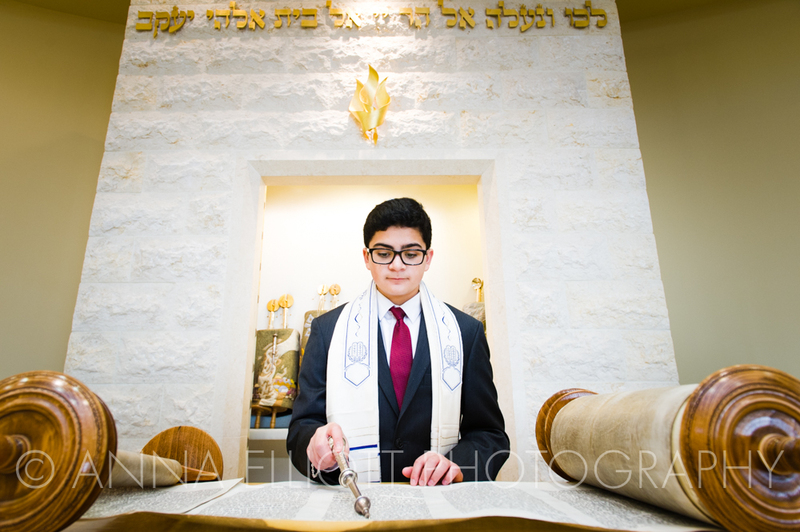 Josh's bar mitzvah was the end of an era for me. A small era, but an era nonetheless. 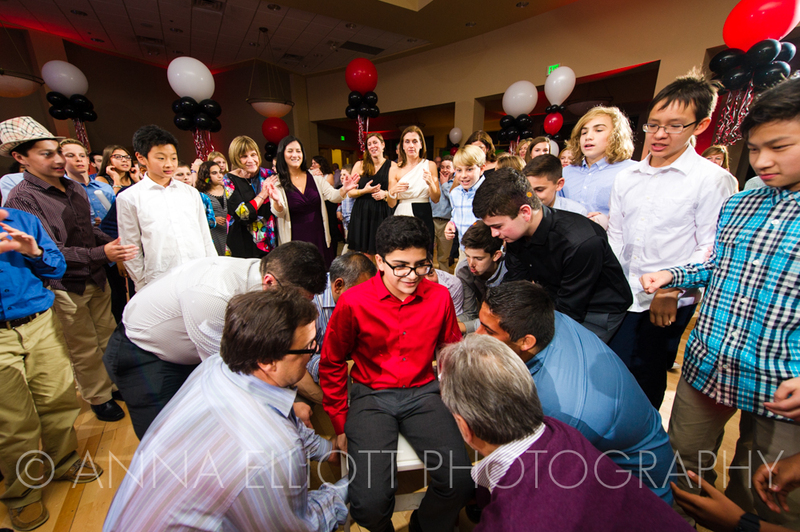 Josh has an older brother and 2 older cousins and I have photographed all of their bar/bat mitzvahs over the past 4 years. I have seen them grow up in front of my camera and knowing that Josh was the last one was a little bittersweet. Mazel tov, Hernandez and Kramer families - you're done until the weddings! 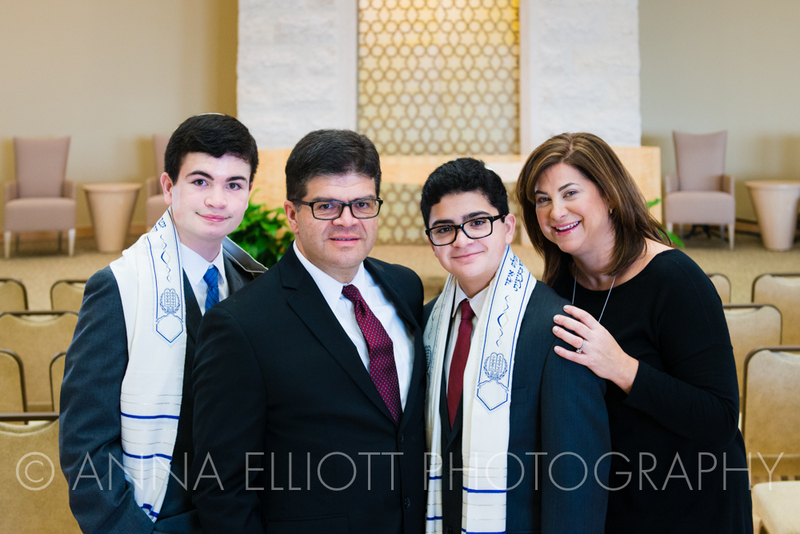 So I don't envy Amy - her older son's bar mitzvah was barely a year-and-a-half ago. 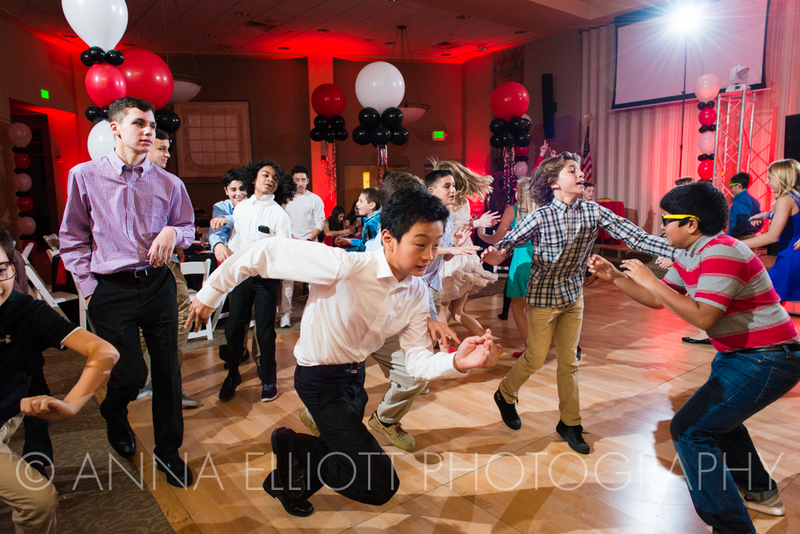 Can you imagine planning two mitzvahs so close together? And making them different enough so they reflect 2 totally different kids? Oy. Somehow Amy pulled it off - fantastically. 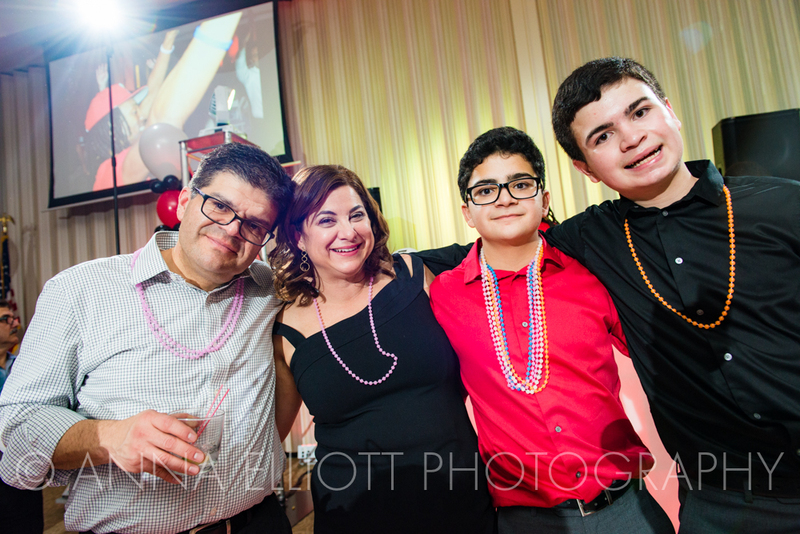 Though both brothers' receptions were held at the same place and had the same entertainment company, it was very clearly Josh's bar mitzvah and not Matthew 2.0. Different colors, different logos and different decorations made it feel uniquely Josh. 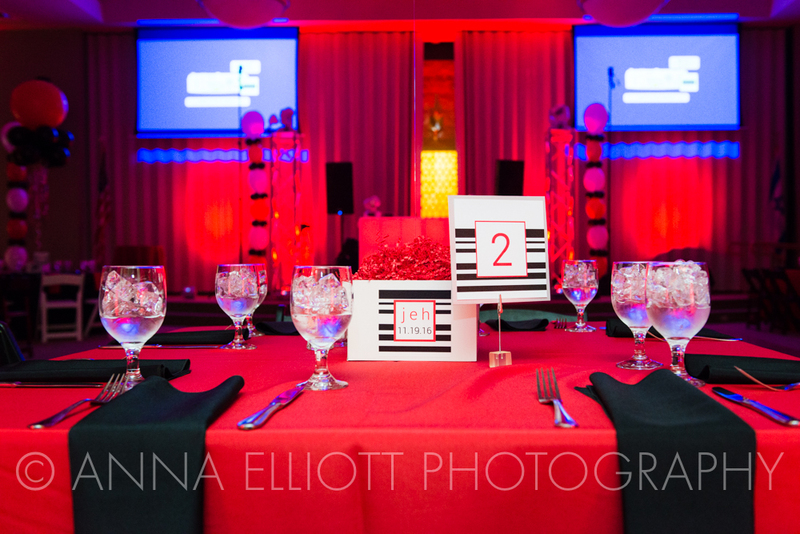 My favorite thing (very, very favorite thing) that Amy did was rent chairs for the reception. The temple has very nice chairs you can use but the white folding chairs made it feel so much more like a party. If you're using your temple's social hall for your reception? Spend the extra couple of hundred dollars and rent chairs. You'll be happy you did. Another favorite thing (besides watching everyone dance and have a good time)? 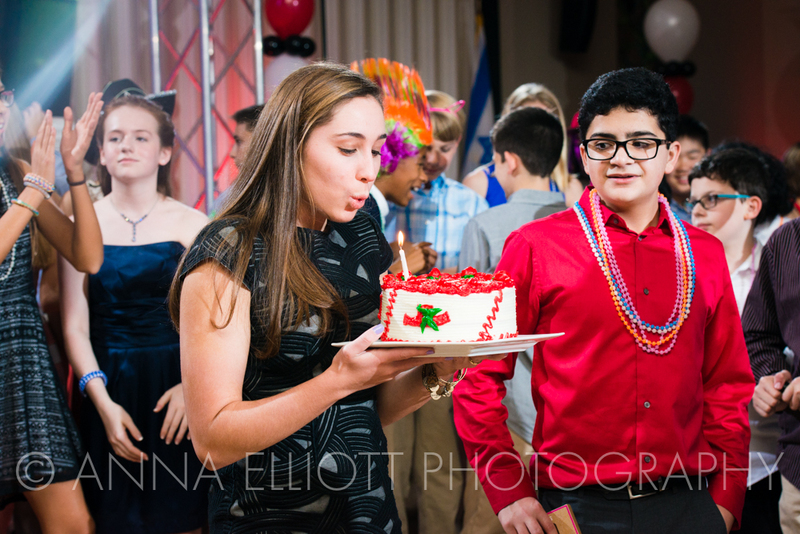 The birthday cake for Josh's cousin, Elana, whose 17th birthday was Saturday night (photo in the gallery). I loved that they recognized her and made time for a special moment just for her during Josh's celebration.